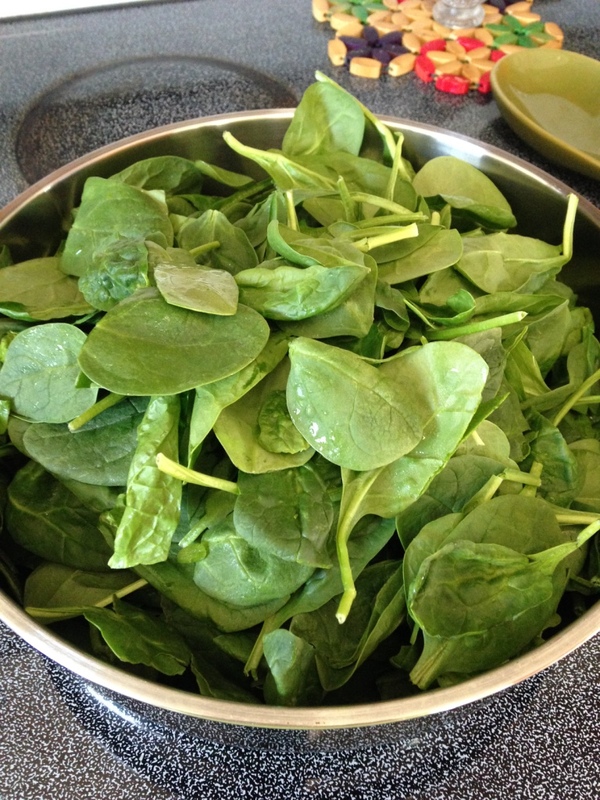 First: Start by cooking down your spinach in a pan with about 2 TBSP of Olive Oil & Preheat your oven to 350'F. Second: Spray your cupcake pans (I used two pans that hold 6, but if you have a pan that makes 12- that is perfect!) 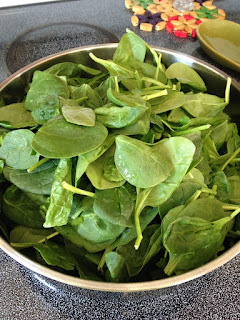 and divide your sautéed spinach into 10 of the holes to make "spinach nests" for your eggs. 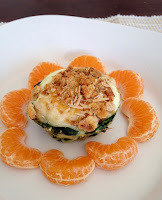 Third: Crack an egg on top of each of the spinach nests. 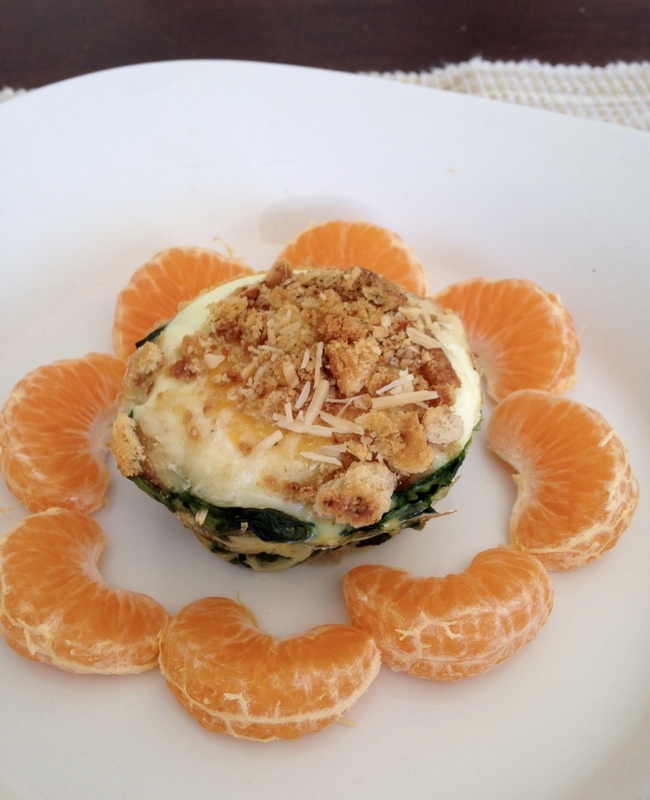 Fourth: Crush up some crackers and top each of the eggs with a tablespoon of crushed crackers and Parmesan-Romano cheese. 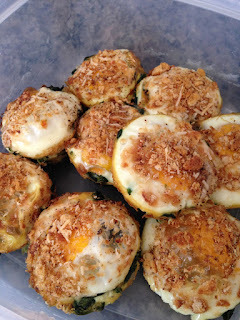 Fifth: Bake these in the oven for 20 minutes. 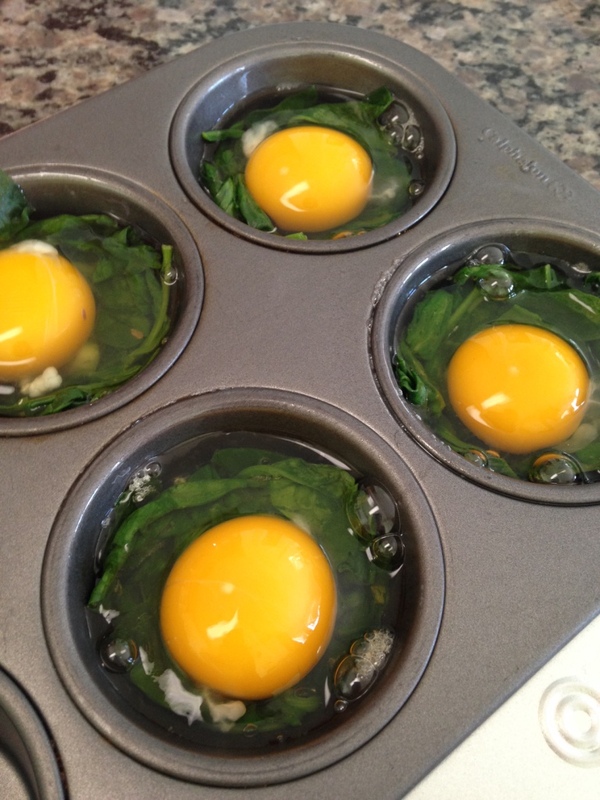 Finally: Remove & run a knife around the edge of each egg & spinach bake before taking them out of the tin. Enjoy immediately and stow the remainder of the bakes in the refrigerator to enjoy for the rest of the week!